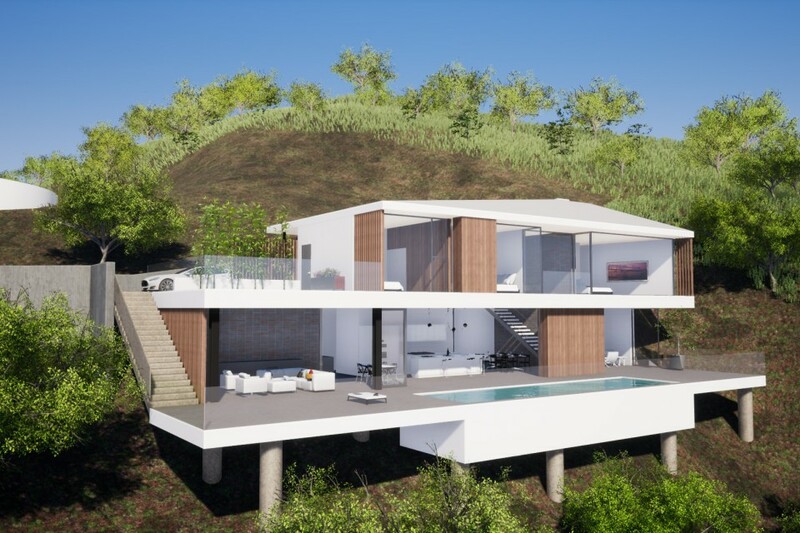 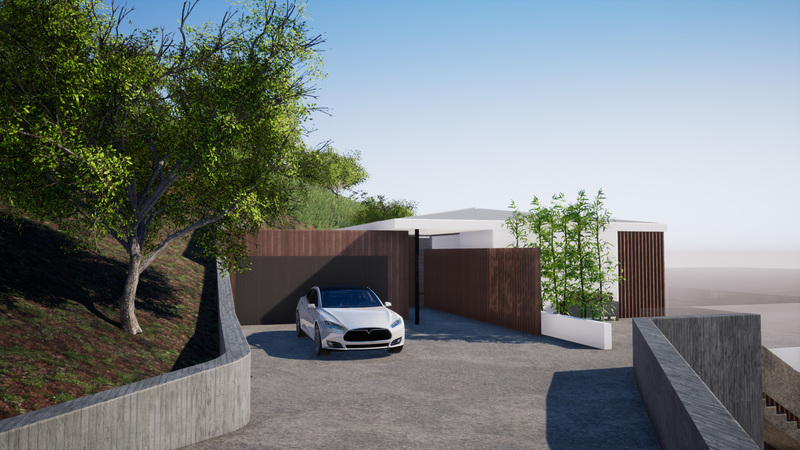 This 2-story residence is perched on the steep hillside of the Santa Monica Mountains and maximizes the majestic view of Malibu. 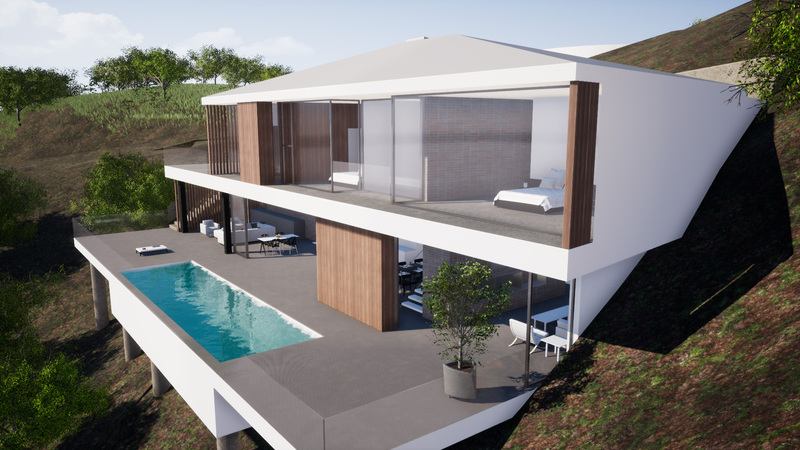 A sequence of wood slats leads to the entrance of the house, where residents and guests enter through the upper level. 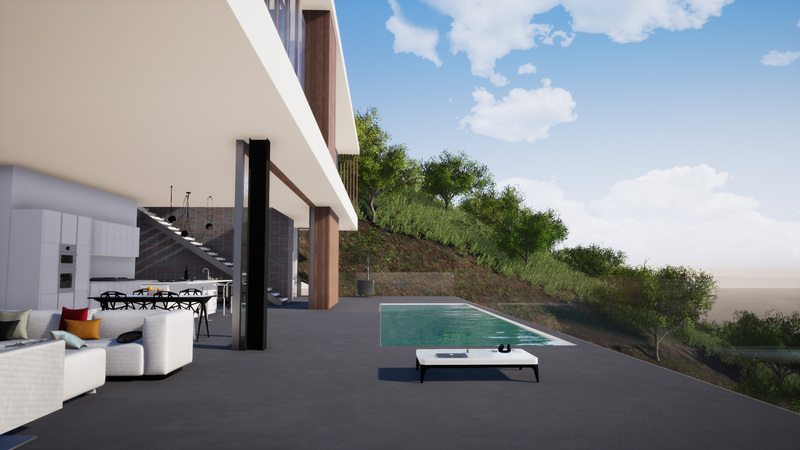 As they approach the middle of the house, they encounter a stair that takes them down to the lower level, where the living area is located. 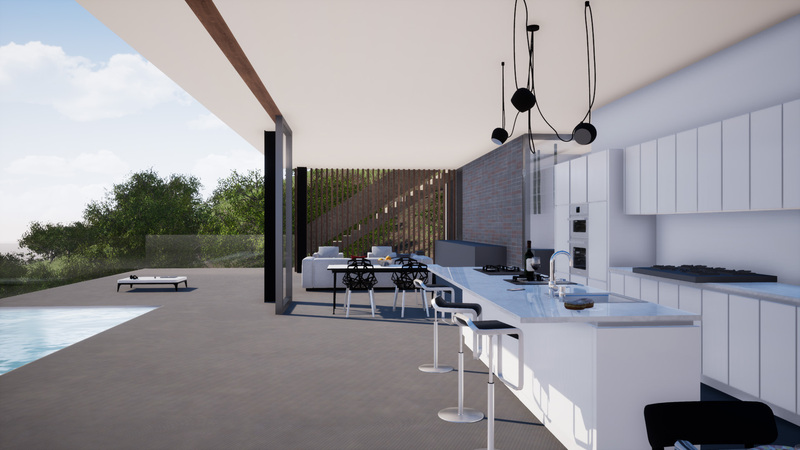 The open floor plan visually connects the kitchen, dining room and the living room with the outside pool and patio, diminishing the hard boundaries between the interior and exterior.